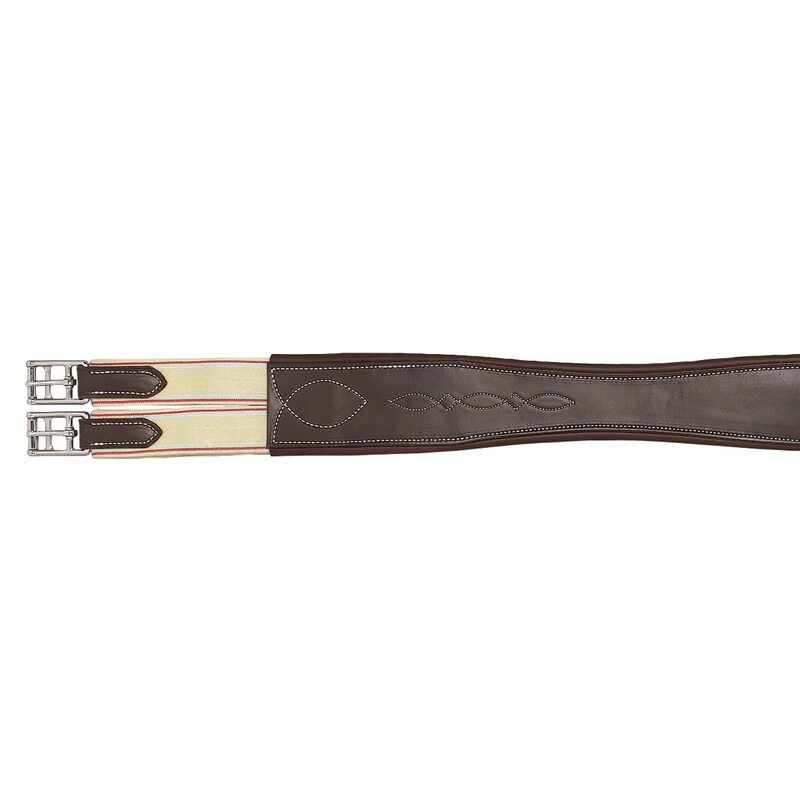 The SmartPak Classic Hunter Girth is designed for the show ring but is made so well that it will stand up to years of use as a schooling girth. Handcrafted in premium leather with your choice of plain overlay or fancy stitching. Double-ply elastic at both ends to allow for even pressure distribution. Stainless steel roller buckles. Brown. 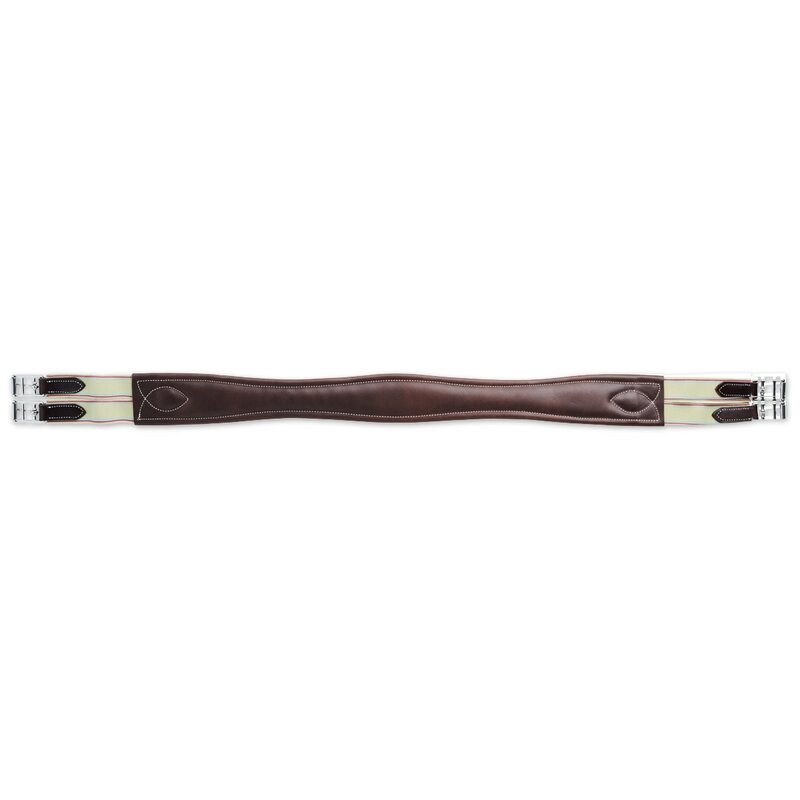 SmartPak Classic Hunter Girth is rated 4.7 out of 5 by 95. Rated 5 out of 5 by Enjoy Riding from Very Satisfied! I am pleased with the hunter girth I ordered to replace my old girth of 50 years ago. I am happy to see that the shaped and elasticized girth is still available. I enjoy putting on my hunt seat saddle every now and then. Now I feel much safer because the old elastic was beginning to go and the new is nice and stretchy! Also had a great customer service experience when I realized that the size I ordered was very small and I was unable to use it for several months due to a bone fracture. My return was accepted with no question! Rated 5 out of 5 by Bugsy2001 from Nice appearance in the show ring I’ve used this girth for a month of showing. It looks great. The fit is slightly large but my saddle has short billet straps so it works for me. Being new the fancy stitching stands out, but with time and oiling it won’t be so noticeable. Very nice girth for the price. Rated 4 out of 5 by Kate98 from Nicely made and finished This is a lovely girth. I had to return it for a larger size,, Smartpak makes that so easy. Rated 5 out of 5 by horseslave from Love this girth! For whatever reason, I have a gazillion leather girths, but every single one is either too small or two big for my horse. Because of my gazillion girths, I was hesitant to buy one more!! However, since riding with a properly sized girth is slightly important, I decided give this conservatively priced girth a try! I particularly liked the double ended elastic so I could ensure a proper and comfortable fit. (I'm not crazy about the elastic showing, but my leg covers it while riding, for the most part). This girth is wonderful!! I purchased the fancy stitched. Certainly fancy enough to show in, and the elastic really helps me get a comfortable fit! My trainer, who spends alot of time at A rated shows, also thought it was a fabulous girth, especially for the price. Approval all around! Rated 5 out of 5 by mccathas from Beautiful Girth Bought this for showing and I've received compliments on how nice it looks. Runs true to size, soft leather that holds up well. Rated 5 out of 5 by OPKS HJ from Believe the Reviews! I bought this girth for my 4 year old warmblood thinking it would be a nice schooling replacement for my old fleece girth. It was so inexpensive that I didn't believe it could be show quality, even though the reviews said as much. However, the reviewers are right. 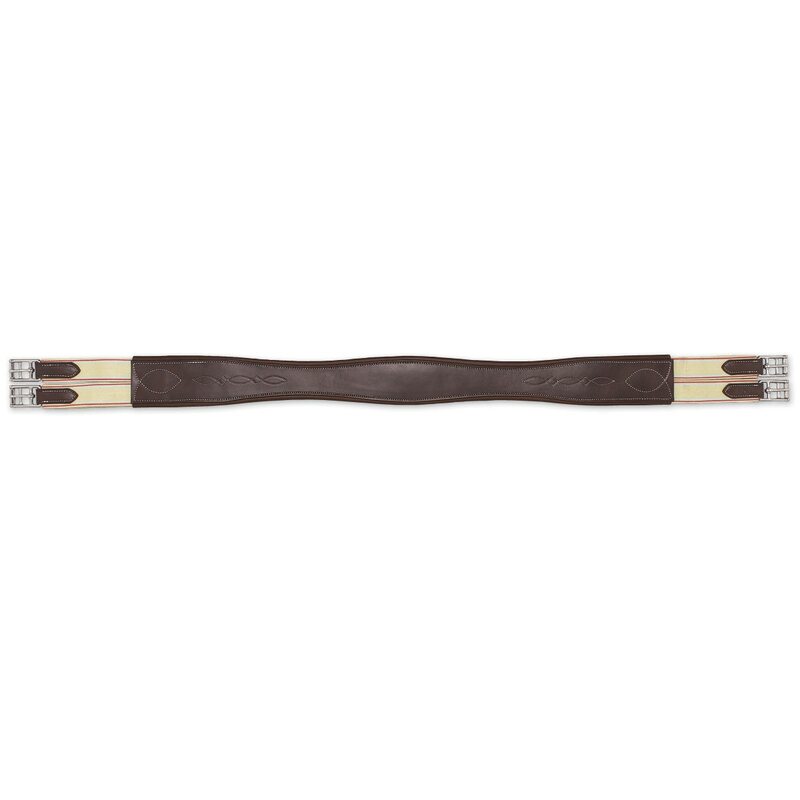 This is a really nice girth that stands up to show quality without costing a ton of money. I'm happy with it. Rated 5 out of 5 by hunterrider from Good value - excellent quality I bought this girth several weeks ago, and have used it at two horse shows already. I found it to be true to size, well-made, attractive, and a very good value. Glad that I bought it, and that I didn't spend $250 for a more expensive model, even though I consider myself pretty picky about quality tack. I do not yet know how it will hold up, but I think it will be fine. Rated 5 out of 5 by kpete from Great Show Girth! This is a beautiful girth. I bought the plain version, which has a nice but subtle stitching detail. I love the dark color and the leather feels pliable and high quality. Rated 5 out of 5 by Kristin 56 from Good leather girth! I thought this girth several years ago in a larger size. It held up very well. Our new horse needs a smaller size so I re-ordered the same one. Well-made and very reasonably priced. matches my saddle well.